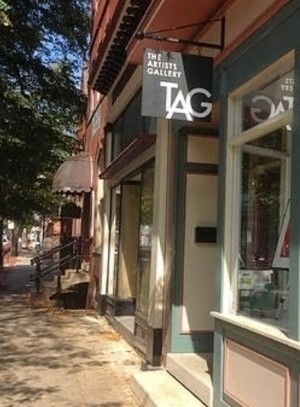 I recently applied for membership at TAG: The Artist’s Gallery in Frederick, MD. My application was unanimously accepted! TAG is an artist-owned organization established in 1990. It features high quality original art for sale in its monthly solo exhibitions by its 24 members, as well as ongoing group exhibitions. This is an exciting step for me as an artist, allowing me both to exhibit my work and get to know the inner workings of an art gallery. I will always have at least one work on display. I will be scheduling a one-man show in a few months. The dates for that are to be determined. Stop on by the gallery at 216 N. Market St, Frederick, MD, It is open Fridays and Saturdays, from 12:00–9:00 pm and Sundays, 12 :00–5:00 pm. And don’t miss the March show called “Boxology”. The show is an annual tradition. Each member is given a small box and asked to “do something with it”. Some artists paint it, some deconstruct it into sculpture…the results are only limited by the artists’ imaginations. I will have a box in that show so stop by at the opening on First Saturday, March 5, 5:00 to 9:00 pm.